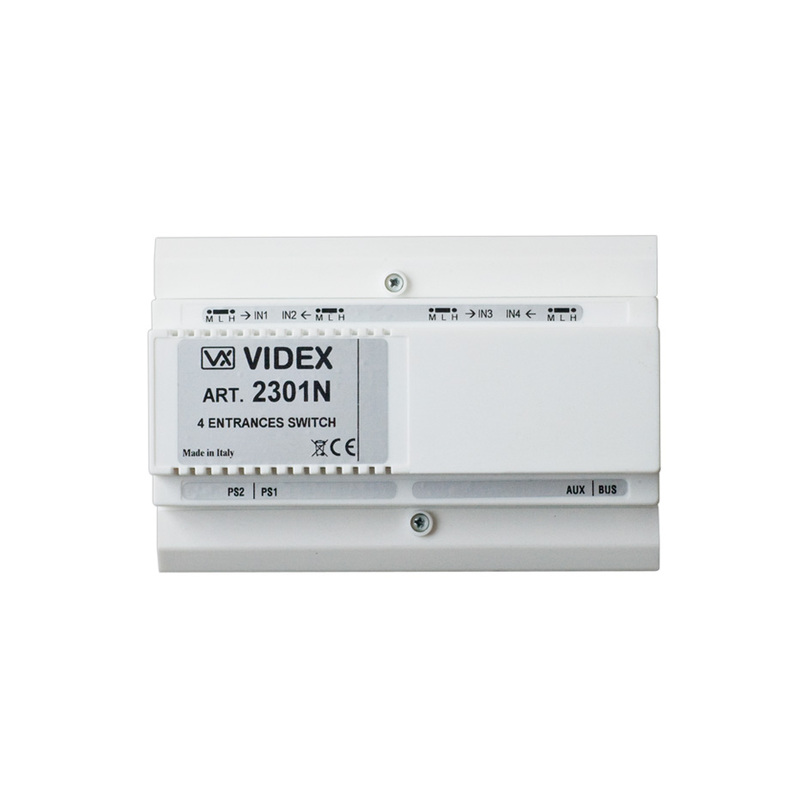 A 2301N switching device is required when using 2 or more entrances (up to a maximum of 4 entrances) on the VX2300 system. An AUX input allows a second 2301N to be connected to expand the system up to 8 entrances. Each entrance output contains an adjustable signal gain setting by use of a position jumper (Low, Medium, High). A power supply unit connects directly to the 2301N and supplies all 4 entrances as well as videophones. For larger systems a second power supplied may be required.